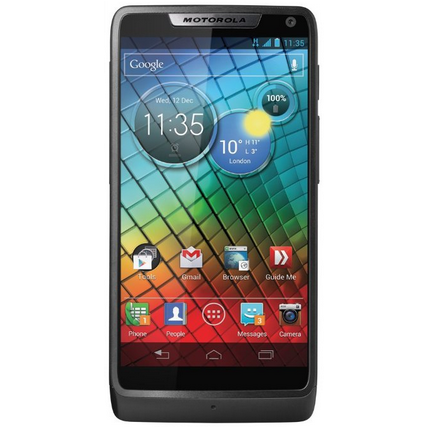 The Motorola RAZR i launched in late 2012 with the original version of Jelly Bean installed Ice Cream Sandwich, so it should come as no surprise that owners have been nervously waiting to see if they would get an update to Android 4.4. 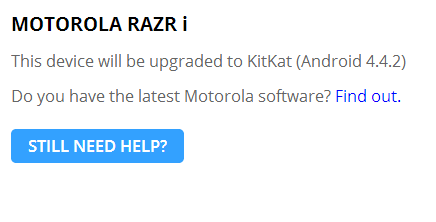 While the answer has been up in the air until now, Motorola's now saying that the device will eventually get bumped up to KitKat. Previously the page read: "This device is currently running Android 4.1 (Jelly Bean) Future plan coming soon." 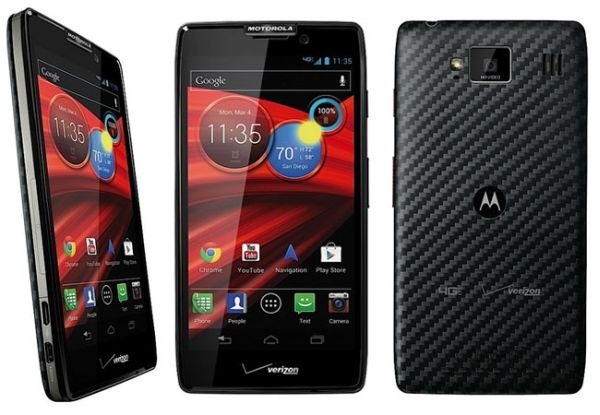 After an initial debut in France, Motorola has begun distributing the Android 4.1 update to RAZR i handsets in the UK today. Just hit that 'Check for update' button as often as possible over the next week or two, and you should be able to get it. Here's Motorola's statement on the rollout. 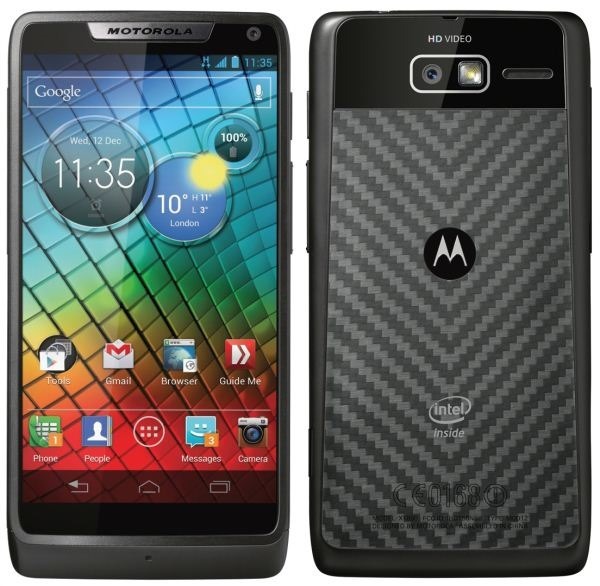 We’re excited to announce that MOTOROLA RAZR™ i with Intel Inside is getting upgraded to Android™ 4.1 Jelly Bean. If you own a French RAZR i, time to start hitting that 'check update' button. The update to Android 4.1.2 is officially beginning to roll out, and in Q1 2013 - as promised. If you want the update right now, but are afraid of losing root, there's good news on that front, too: you can. The new root instructions and files are located here. An updated, pre-rooted fastboot file can be found here, which should put your unlocked RAZR i on French firmware. There's a good chance that the bulk of you completely missed the RAZR i announcement. Why? Because it was held in London and happened in the middle of the night for those of us in the US. Never fear, though, if you simply must see Moto talk up the RAZR i and all of its 2GHz glory, the full event is now available for streaming on YouTube. Enough chatter - hit play to watch the magic. The only area where the RAZR i outperforms its Snapdragon S4-touting cousin (the M) is in the SunSpider benchmark, which tests browser performance.